Under Construction. UNDER CONSTRUCTION. SPECIAL PHASE 3 GRAND OPENING PRICING FOR A LIMITED TIME ONLY. PROMOTIONAL CREDITS, PRICING AND AVAILABILITY ARE SUBJECT TO CHANGE WITHOUT NOTICE. 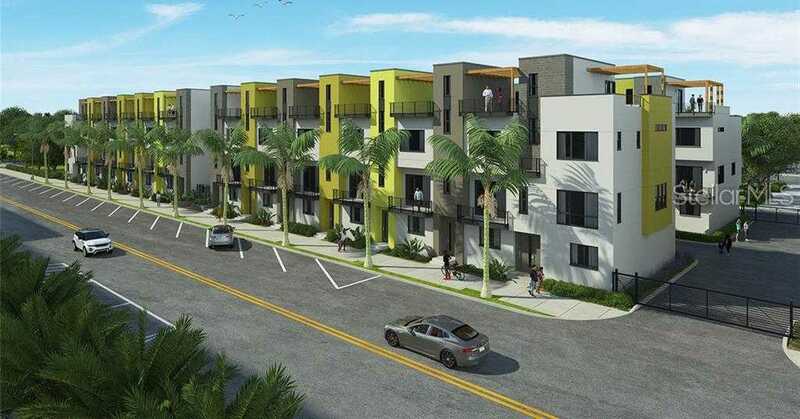 New Construction contemporary townhome on MLK in the heart of vibrant downtown St. Pete. This spacious home has 1,972 sq. ft. of living space with 3 bedrooms, 3 full baths and 2 partial baths, enormous 348 sq. ft. of rooftop living space, an additional patio off the owner 8217;s suite, and a 2-car garage. Included features: concrete block construction, engineered wood flooring throughout second floor, ceramic tile in wet areas, granite countertops, stainless steel appliances and gas connections. Enjoy all the benefits of a gas community that is fenced and features gated access. Walk to the bay and waterfront shopping, dining, entertainment and culture. Thrive in this eclectic mix of shops, restaurants, outdoor activities, night life, sports venues, museums and galleries. Enjoy a lifestyle unmatched in the greater Tampa Bay area. Take advantage of pre-construction pricing now! Additional Water Information: 15 minutes from the award-winning beaches of the Gulf. Please, send me more information on this property: MLS# T3167126 – $632,000 – 949 Arlington Ave N #30, Saint Petersburg, FL 33705. I would like to schedule a showing appointment for this property: MLS# T3167126 – $632,000 – 949 Arlington Ave N #30, Saint Petersburg, FL 33705.